This baby Dalmatian costume is too cute for a coat! 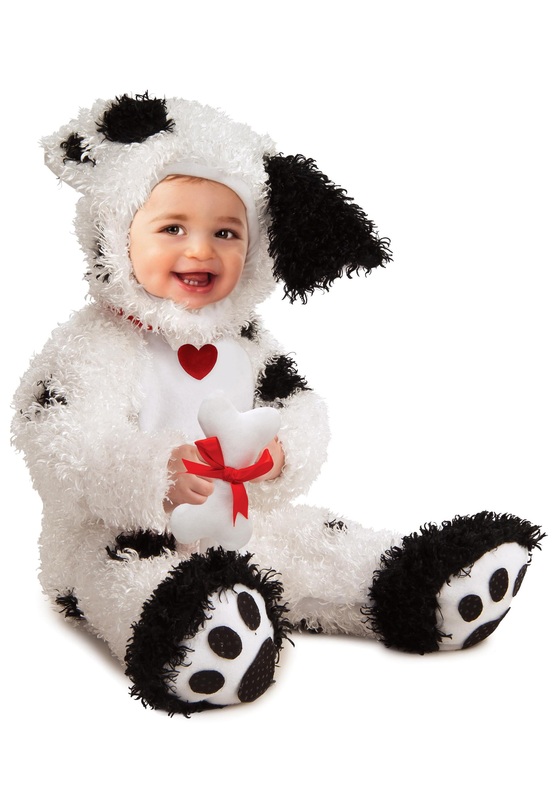 This infant dog costume will turn your little one into a cute puppy. The white polyester jumpsuit is covered with bright fur on the arms and legs. The fur has scattered black spots. The cuffs of the jumpsuit have elastic. 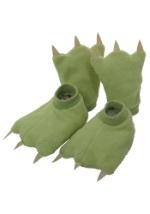 The feet are black, with a paw print on the bottom. There is a detachable black button tail on the back. It also has a red collar with a little red heart hanging down in the front. The jumpsuit velcros up in back. The hood is also white fur with black spots. 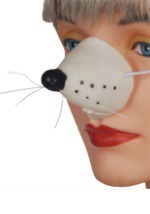 It secures under the chin with a velcro strap and has two floppy ears, one black and one white with a spot. A little stuffed bone toy with a red ribbon is also included. Looks great with our Cruella DeVil costumes!